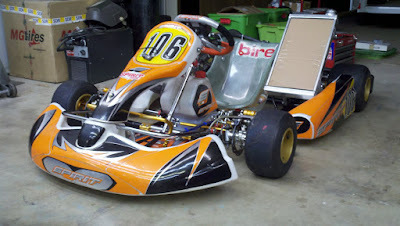 I have 2008 Birel M31 rolling chassis for sale. I am the second owner. The previous owner was a kart shop owner in Dallas so the kart has been well taken care of. Low usage - only 9 races on the chassis. 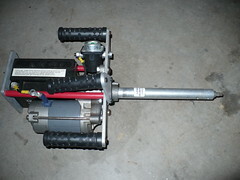 Chassis has front brakes and was used for 125cc Stock Moto shifter class, but could also be used for TAG/Rotax racing. Comes with radiator, full bodywork kit, and 1 set of wheels. Just add seat and motor and go racing. Price: $1700 OBO. Located in San Angelo, TX. Willing to ship at buyer's expense. 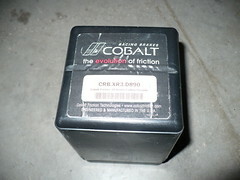 Cobalt Friction CRB.XR3.D890 brake pads for sale. 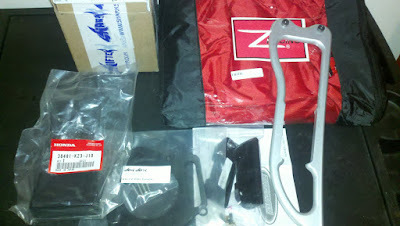 These are XR3 compound front brake pads for a 2001-2005 Mazda Miata. Brand new, never opened. 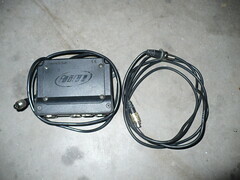 New Price is $180. I will sell for $100. Feel free to contact me (dogburn at gmail dot com) with questions. Thanks. 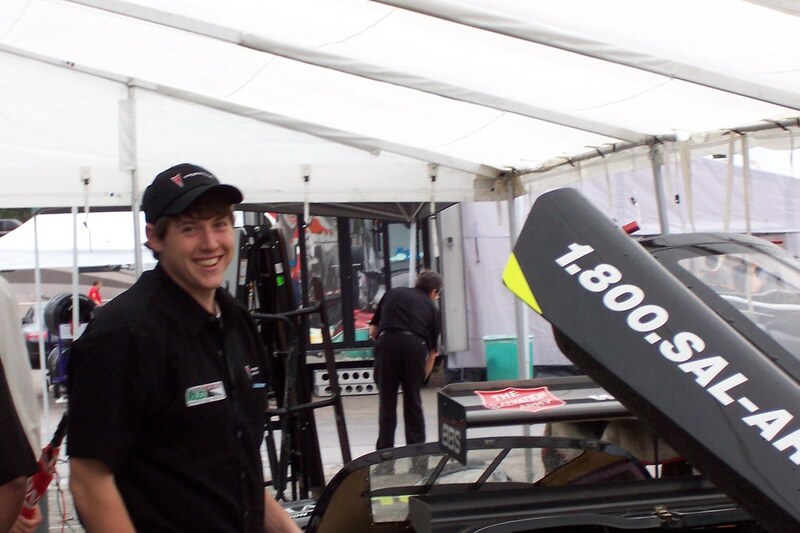 Last weekend was a whirlwind, but provided a great start to my 2011 racing season. I spend all day Saturday at the 3G Karting Dallas shop prepping my 2010 Birel Spirit SP32 chassis. The chassis is immaculate having only one prior race weekend on it back in 2010. The SP32 is a 32mm chassis which should be much stiffer than my previous chassis and be much better suited to my weight and the shifter class. Spirit is an Italian company founded in 2007 by 5-time karting World Champion Gianluca Beggio. The Spirit chassis are virtually identical to Birel chassis and are manufactured by Birel as well. The morning started with a basically bare chassis and after mounting the seat, radiator, engine, AIM Mychron, adding fluids, and routing all the wires and hydraulic lines, it was a ready for a test fire. The engine fired up quickly after its off-season refresh by SRS Engines. After quickly setting the pedals for my height, my new kart was basically race ready. On Sunday, I travelled 3 hours of North of Dallas with the 3G Karting team to Oklahoma Motorsports Park. It drizzled the whole ride to OMC, but luckily stopped shorty after we arrived. My goal for the day was to break in my engine, get comfortable with the new kart, adjust any ergonomic problems, and learn the new track. I was able to squeeze 5 sessions in before I had to head back to San Angelo for a total of about 45 laps. My first regional race of the year is at OMC on April 2 and 3rd, so it was extremely beneficial to get some track time, data, and video at OMC before my first big race of 2011. I cured some ergo problems by changing up the radiator mounting as it was interfering with my left arm and shoulder and discovered some interference between my right leg and the exhaust pipe...not good. 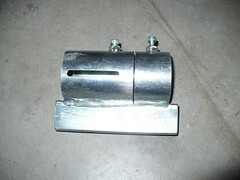 I will be a making a guard for that soon. Overall, I was pleased with the practice. My new 32mm chassis feels much stiffer and higher grip than my previous Birel chassis. 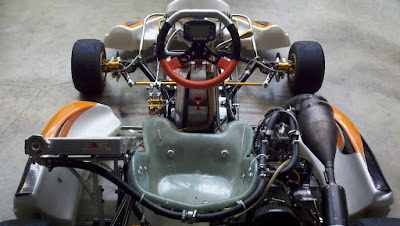 On the old VEGA tires I was running, the kart was reasonably balanced with some slight corner entry understeer and slight power-on oversteer on the exit which should be a great starting point for tuning when I switch to new MGs for the race season. I got some kart parts in the mail today fom Shark Shifter and Acceleration Karting to prep my Birel M31 chassis that I am selling and for the new shifter chassis that I am picking up this weekend. I received a new radiator mount for the M31 chassis and a CDI isolator, ignition cover for the CR125 engine, an extra master link, a kart cover, and a heel stops for my new chassis. 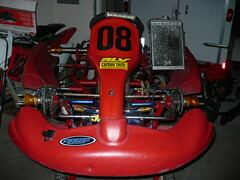 Look for a for sale ad soon for my 2008 Birel M31 chassis. I don't make many non-racing posts, but this one is important. 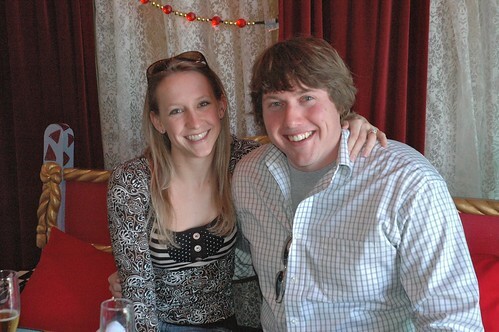 This past weekend I took my girlfriend to Austin, TX for a getaway weekend and asked her to marry me on Saturday 2/12. Being the great guy that I am (cough..cough), she said yes and I couldn't be happier. Ali and I met at the University of Virginia and have been dating for a little over 3 and half years (yes yes I know it took me a while...) and now live together in sunny San Angelo, Texas. She is the best girlfriend a racer could ask for. She helps me in the garage when needed, travels and even takes vacation days to come to the track with me, bought a pitbike (best purchase ever), and instead of complaining that I race too much, she encourages me to go after my dreams. Most importantly, she is always there to remind me that racing (aka my hobby) is supposed to be fun and shouldn't stress me out. When you are learning to maintain your own racecars, drive, and race, you lose a lot. It's part of the learning process...but it a lot easier to handle losing when you go home with the prettiest girl in the paddock.